Celebrate Labor Day with these Chicago Specials! 813 N. Waukegan Rd.Deerfield, Ill.
25 S. Roselle Rd.Schaumburg, Ill.
201 N. Buffalo Grove Rd.Buffalo Grove, Ill.
Special for the holiday weekend, Deerfields Bakery has dreamed up Gluten-free Yogurt Shortcake with balsamic strawberries and a dollop of caramel whipped cream ($7.95 for a package of six). This labor-saving treat contrasts tangy with sweet to create the ideal dessert for a Labor Day party. The Yogurt Shortcakes are available by special order only. Orders must be placed by Wednesday, August 27 and will be available for pick-up August 29-31 at any Deerfields Bakery location. All locations are open Monday through Saturday, 6 a.m. to 5:30 p.m. and Sunday, 7 a.m. to 2 p.m. To order, call customer service at (874) 520-0068, Ext. 2, or stop by any Deerfields location. For more information, visit http://www.deerfieldsbakery.com/. 510 E. Route 83Mundelein, Ill. Among its flavorful Pan-Asian standouts, Karma is featuring two entrée specials for the weekend of Labor Day (August 29- September 1). Try the Asian Pepper Short Ribs, glazed in a spiced tamari sauce with yaki soba noodles and fried Swiss chard ($23) or the Pacific Rim Halibut, stuffed with Thai chili spiced rock shrimp and scallops, paired with wok fried spring vegetables, forbidden rice and lobster tobikko sauce ($24). Karma is open 6 a.m. to 11 p.m. Friday and Saturday, and 6 a.m. to 10 p.m. Sunday through Thursday. Reservations are recommended and can be made by calling Karma at (847) 970-6900. For more information, visit http://www.karmachicago.com/. 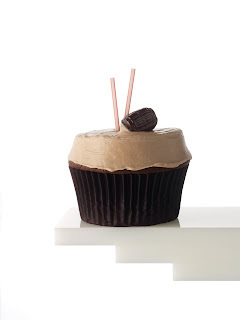 MORE, Patricia Rothman’s boutique cupcake salon in Chicago’s Gold Coast neighborhood, officially opens September 12 but cupcake-craving Chicagoans can place special pre-orders of the Gale Gand-inspired cupcakes from MORE by phone on August 26, for pick-up starting August 31. MORE specializes in innovative cupcakes, offering more than 50 flavor varieties, including sweet flavors like Chocolate Mint, Pink Grapefruit, Passionfruit Poppyseed and Mocha, plus unique savory flavors like Fig, Blue Cheese and Port, Caramelized Onion and Strawberry, Black Peppercorn, Balsamic. Classic favorites like Chocolate, Vanilla and Red Velvet are also available. As a pre-opening special, 16 flavors of MORE’s inventive cupcakes can be ordered in multiples of six savory or six sweet. Customers may also special order miniature cupcakes, “MOREsels,” in multiples of 16 and 30. MOREsels must be ordered at least 48 hours in advance. MORE is open everyday 8 a.m. to 8 p.m. To place orders call MORE at (312) 951-0001. For more information, visit http://www.morecupcakes.com/. Sweet Baby Ray’s knows its customers have worked hard all year and deserve a festive day off. On Monday, September 1, Sweet Baby Ray’s Barbecue Restaurant invites everyone to fill their plates with all the trimmings of the Labor Day Barbecue Buffet ($15.99 per adult, $8.99 per child 12 and under) featuring their award-winning Slow Smoked Barbecue Ribs, Pulled Pork, Hickory Smoked Beef Brisket, Barbecue Chicken, Hamburgers, Hot Dogs and Bratwurst. Labor Day salads include the new Michael Phelps Gold Yukon Potato Salad, Illinois Vine Ripened Tomato and Cucumber Salad, Chef Mike’s Tortellini Pasta Salad and Sweet Baby Ray’s Mixed Greens Salad. Tasty side dishes include Illinois Sweet Corn on the Cob, Baked Beans and Coleslaw and some crunchy snacks: peanuts, popcorn and Cracker Jacks. Finish off the meal with assorted desserts including sweet Watermelon, Cheesecake and Key Lime Pie. The Cubs game starts at 3 p.m. on the big screen and there are plenty of drink specials to go around, including Miller Lite Drafts ($2.25), Miller Lite Bottles ($2.50) and Jose Cuervo Margaritas ($5). Just in time for football season, Sweet Baby Ray’s Barbecue Restaurant is opening its doors early for Sunday Brunch Buffet on the second Sunday of every month, starting September 14, 10:30 a.m. to 3 p.m. Sunday brunch patrons are bound to enjoy a tailgating themed menu featuring hearty foods as well as a variety of salads, pastries and fruit. For those who love a filling breakfast, expect to be wowed with an omelet station, carved tequila-cilantro grilled flank steak and carved slow smoked beef brisket, as well as grilled cheddar bratwurst, smoked polish sausage, barbecue ribs, barbecue chicken, pulled pork, grilled pork chops with long pepper and yellow pepper relish, three-bean and three-meat chili and ditalini pasta in cheddar cheese sauce. Salad lovers will enjoy the Southwestern shrimp and avocado salad, Caesar salad and a tossed salad. Make sure to save room for dessert, for there is a sumptuous spread including Super Bowl trifle, chocolate fudge brownies and grilled pound cake with cinnamon apples. Monday Night Football lovers will thoroughly enjoy the new All You Can Eat Barbecue Buffet, which kicks off at 5 p.m. every Monday. While the pigskin gets kicked around, enjoy Rib Tips, Pulled Pork, Jerk Chicken, Windy City Stir Fry with Italian sausage, pepper, onions and potatoes, Barbecue Beans, Coleslaw, Smoked Tomato Pasta, Tossed Salad and Cornbread. To keep the energy up, indulge in dessert with Sweet Baby Ray’s mouthwatering Bread Pudding. The buffet is available Mondays $9.99 for adults and $7.99 for children, 12 and under. Extra hungry guests may order a single 1/3 slab of Ribs for only $5. On Tuesday nights at Sweet Baby Ray’s in Elk Grove, kids ages 12 and under receive a complimentary children’s meal with the purchase of one regularly priced adult entrée. This offer is available each Tuesday after 5 p.m. This deal sounds just as good as the Sweet Baby Ray’s Cherry Rum-a-Nades ($5), a very-adult drink special, made with muddled Maraschino cherries, Lemonade, Black Cherry rum and a splash of Sprite. 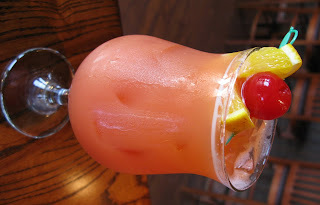 The Cherry Rum-a-Nade is offered as a Tuesday drink special throughout the month of September. The Sweet Baby Ray’s team is so proud of their first prize Best Ribs win at Naperville 2008 Ribfest that they can’t help but share the good fortune with their customers. Every Wednesday, the All You Can Eat Baby Back Ribs ($16.99 per person) packs the fans in, and the Sweet Baby Ray’s Barbecue Restaurant Sangrias ($5) keep the customers thirsting for more. Every Friday and Saturday evening, Sweet Baby Ray’s Barbecue Restaurant features a Smoked Prime Rib Dinner, complete with favorite side dishes ($18.99 per person). The ever-generous Sweet Baby Ray’s knows what their customers like, and they like complimentary appetizers. Every Monday through Friday, from 3:30 p.m. to 6 p.m., the Sweet Baby Ray’s bar is packed with fan favorites. Chili Cheddar Potato Skins and Chips and Salsa are featured on Mondays; Tuesday has Windy City Stir Fry with Italian sausage, peppers, onions and potatoes, as well as Corn blasters, deep-fried cornbread with dipping sauce; Wednesdays serve up Pulled Pork and Jerked Meatballs, while Thursdays offer Hot Wings and Barbecue Meatballs. Every Friday, customers can expect the bar to feature Pretzel Bites with honey mustard dipping sauce and Smokin’ Wings. Sweet Baby Ray’s Barbecue Restaurant September cocktails are definitely a luscious must. All month long, customers can enjoy the Drink of the Month, an Absolut Peach and Cranberry cocktail available for $4 everyday. Monday night specials include Miller Drafts ($2.25), Miller Lite and High Life bottles ($2.50). Tuesday drink specials are Blue Moon drafts ($3) and Cherry Rum-A-Nade ($5) while Wednesday features Coors Light bottles ($2.50) and Sweet Baby Ray’s special Sangria ($5). Thursday evening, guests enjoy Bud and Bud Light bottles ($2.50) and Jose Cuervo Margaritas ($5). Sweet Baby Ray’s is open Monday and Tuesday 11 a.m. to 9 p.m., Wednesday and Thursday 11 a.m. to 10 p.m., Friday 11 a.m. to 11 p.m., Saturday noon to 11 p.m. and Sunday noon to 9 p.m. Sweet Baby Ray’s also offers a private room for special occasions. 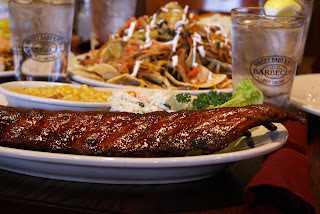 To learn more about Sweet Baby Ray’s, call (847) 437-9555 or visit online at http://www.sbrbbq.com/. Be the first to taste MORE! You've been craving more, and soon you'll get MORE! Owner Patty Rothman has launched the newest addition to the Gold Coast, upscale cupcake boutique, MORE (1 E. Delaware Place) that boasts a menu of more than 30 flavor varieties, including sweet and savory recipes created by pastry standout Gale Gand. The long awaited bakery will open its doors Friday, September 12. But wait, there's more! Customers can pre-order cupcakes from MORE starting Tuesday, August 26 by calling the store at (312) 951-0001. Orders may be picked up at MORE beginning Sunday, August 31. Hours for orders are 8 a.m. to 8 p.m. And yes, you can order MORE for Labor Day! Flavors include sweet cupcakes like Passionfruit Poppyseed, Chocolate Mint and Root Beer Float, plus savory treats like Strawberry, Black Pepper, Balsamic; Caramelized Onion; and Fig, Blue Cheese and Port. MORE also has classic favorites like Carrot, Chocolate and Red Velvet. A complete menu of flavors and pricing information can be found at http://www.morecupcakes.com/ or by calling the store (312) 951-0001. MORE's cupcakes can be ordered individually or in multiples of six. Plus, miniature cupcakes, called "Moresels," are available by special order only in multiples of 16 or 30. Moresels, however, must be ordered at least 48 hours in advance. 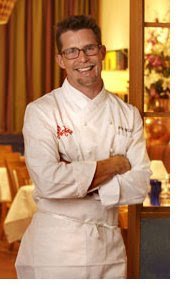 Renowned chef and culinary icon Rick Bayless will be inducted into the Chicago Culinary Museum and Chefs Hall of Fame on Wednesday, August 27 in a ceremony from 5:30 p.m. - 9:30 p.m. at the Palmer House Hilton, 17 E. Monroe St. in Chicago. Bayless is the third recipient of this prestigious Chefs Hall of Fame award, following the inaugural induction of Chef Charlie Trotter in 2006 and last year's recipient Chef Jimmy Bannos. Tickets for the event, featuring a cocktail reception, silent auction, awards presentation and Wandering Feast, are $175 per person ($200 at the door). Tickets may be purchased on line at: www.brownpapertickets.com/event/38403. In case you haven't heard of the Chicago Culinary Museum (I hadn't until I received an email from my good friend Cary Miller, the guru from Food Industry News,) it's a dynamic project supported by Mayor Daley, Jesse White, and just about every who's who in Chicago's culinary world, with the hopefully not so long term goal of building a permanent Culinary Museum in downtown Chicago. It's the brainchild of chefs John S. Castro and Chef John W. Kaufmann. Kudos to them for undertaking this mammoth project which will certainly solidify Chicago as the culinary world leader and keep us the dining destination for all worldwide. The proceeds from this event will be used towards that end, and on the shorter term, for funding temporary exposition space. The money raised will also go to funding traveling expositions and the museum's educational lecture programs. You can read more about the museum, event and Rick Bayless in our press release at: August 27 Culinary Museum Press Release. 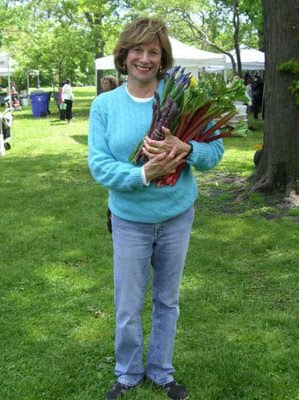 The much beloved founder of Green City Market, Abby Mandel, passed away yesterday (August 13). She courageously struggled through difficult times this past year, but always with her eye upon her Market and its future. Abby embodied the market's vision, hopes and -- for many years--its very existence. She dragged herself out in the black of early morning to assure that everything was right, every Market day. From the alley to the Park, she would skitter from stand-to-stand, pears to peaches to crepes to corn, inspecting, marveling and then luring the consumer into an understanding of this Market's mission. She succeeded beyond even her own wildest dreams. And she gifted us with that dream. It is not surprising that Abby's last day was a "Market day." She was secure in the knowledge that we are now 10 years old and growing. We miss her already. A memorial service is scheduled for tomorrow (Friday, August 15) at 1 p.m. at the North Shore Congregation Israel in Glencoe. Raise a glass August 19 and celebrate the creation of the root beer float! August 19 is the anniversary of the creation of the root beer float. More than 100 years ago in a scenic mountain-filled town in Colorado, Frank J. Wisner created the “black cow,” which is known today as the root beer float. Join in and celebrate this momentous day in history by indulging in the classic treat. We’ve included some to stop and take notice of. With so many different versions, you'll have trouble choosing just one. Cheers! 75 W. Algonquin Rd., Arlington Heights, IL. Head over to Birch River Grill for one float that will have you wanting seconds. Order their Goose Island Root Beer Float, which is served with the namesake’s premium root beer and rich vanilla ice cream. 510 E. Route 83, Mundelein, IL. The terms, root beer float and evening cocktail, aren’t necessarily synonymous. Probably because an ice cream mustache, doesn’t really bode well for those meeting friends (or a date!) out for an after-work drink. Karma has created the solution with their Root Beer Fizz cocktail. 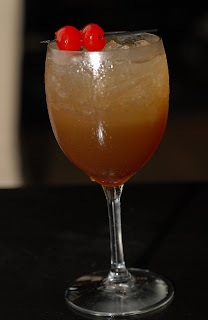 Made with gin, lemon juice, sugar and premium root beer, this is one treat worth celebrating all night! One East Delaware Place, Chicago, IL. Looking for a different way to enjoy your root beer float? Opening soon, MORE will showcase a Root Beer Float cupcake. Featuring a yellow cake base with root beer-flavored frosting, this little slice of heaven is complete with a root beer candy and straw garnish. Who knew you could enjoy a root beer float without the brain freeze! 800 E. Higgins Rd., Elk Grove Village, IL. If you’re favorite part of a root beer float is that big scoop of vanilla ice cream, look no further then Sweet Baby Ray’s. The restaurant’s delicious Root Beer Float is made with Homer’s vanilla ice cream, which was rated one of the “Top Ten in the Country” by Bon Appetit, as well as “Best in Chicago” by Chicago Magazine. Topped with premium Weinhard’s Root Beer, this float is sure to top your list for years to come. Championship Auto Shows, Inc. has announced the 27th Annual Nickey Chicago Chevy Vettefest, presented by Bill Stasek Chevrolet will take place November 22-23, 2008 at the Donald E. Stephens Convention Center (5555 N. River Rd., Rosemont, Ill.). As the world's largest All-Indoor, All-Chevrolet show and swap meet, the fall event i s expected to be the biggest and best show yet. The show packs in more than 400 swap meet and commerical vendor spaces, and more than 400 of the country's best Chevrolets. The Triple Crown Gallery features the finest Corvettes, accepted only after achieving NCRS Top Flight and Bloomington Gold status (the most prestigious awards among restored and original Corvette enthusiasts). Achieving this Triple Crown status is considered the ultimate achievement among those in the Corvette world. This year's Chevy Vettefest will also feature a High Performance '68-'70 Chevy Nova Showcase, the sYc Supercars Showcase, and what is believed to be the ONLY gathering of '69 Camaro Z/28's that may represent all of the 18 available colors, along with several special order non-standard cars. 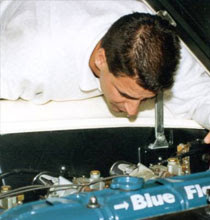 The 2008 Nickey Chicago Chevy Vettefest, presented by Bill Stasek Chevrolet is teaming up with the Race & Performance Expo to kickoff the "Hot Rodders of America Engine Challenge" at this year's event. Contestants are invited from local high schools and junior colleges with five-student teams to race against the clock disassembling, and then reassembling the engines using only hand tools. Adding to the pressure (and excitement), the teams are being judged by officials, and viewed by the audience. Competition starts Saturday, November 22, with 14 high school teams. Eight winning teams will advance to the "Super Bowl Shootout," which will be held at the Race & Performance Expo, February 14, 2009 at the Pheasant Run Resort in St. Charles, Ill. Sunday, November 23, will see three local Junior Colleges competing for one play-off spot at the Race & Performance Expo finals, Sunday, February 15, 2009 at the Pheasant Run Resort. For more information about this year's event, please call Championship Auto Shows, Inc. at (248) 373-1700 or visit online at http://www.chevyvettefest.net/. Catch a glimpse of "Seen & Noted" in this week's issue of Crain's? The piece features restaurants with bathrooms that deserve a trip to while at the establishment. Included in the list is Jacky Pluton's Haussmann Brasserie, where simply paying a visit to the W.C. could earn a guest a $100 gift certificate to the restaurant. Instead of listening to music, diners hear Jacky Pluton reading recipes from the menu. Guess the correct recipe, and the gift certificate belongs to you. It's an easy task if you're bilingual... the recipes are read in French. Visit Haussmann Brasserie to hear the recipes (and try the food!) at 305 Happ Rd. in Northfield. Call (847) 446-1133 for reservations. To view the Crain's article, press here. It's already August, which means it's time to get ready for school. Summer may have flown by, but WGN-TV and Sweet Baby Ray's will help Chicago area kids gear up for the school year with the TV station's 7th annual "WGN-TV Back-to-School Kids Fair." The free fair will feature food, fun, health screenings, safety tips and everything parents and kids need to prepare for school. Be sure to visit the Sweet Baby Ray's booth to watch demonstrations on how to pack healthy school lunches, sample the restaurant's award-winning ribs and pick up Sweet Baby Ray's activity booklets and cups. The Sweet Baby Ray's gang will stick around the fair to answer any questions kids and families may have about cooking, ribs, grilling, or even becoming a chef! If you can't make it to the event at at WGN-TV Studios, 2501 W. Bradley Place in Chicago, set your Tivo for WGN's morning news this Friday, August 8, 6-9 a.m. Then make your back-to-school shopping list! Sweet Baby Ray's Drink of the Month is an Absolut Peach and Cranberry Cocktail, available for $4 everyday. All of those drink specials making you hungry? Don't forget that Sweet Baby Ray's offers a Smoked Prime Rib Dinner every Friday and Saturday ($18.99), and All You Can Eat Baby Back Ribs every Wednesday ($16.99). Bring the whole family because Kids (12 and under) eat FREE every Tuesday night, starting at 5 p.m.
New in August is a Barbecue Buffet, every Monday night ($9.99). Enjoy items from Sweet Baby Ray's Chicago style barbecue menu. Make sure to save room for the award winning ribs, voted Best Ribs at the 2008 Naperville Ribfest. Is your mouth watering yet? All month long, Sweet Baby Ray's has specials for Carry Out orders only. Ala Carte Pulled Pork Sandwiches are $6.99, but when you buy five or more, they're $5.99 each. Bring home the Family Pack Chicken Dinner with one Whole Barbecue Chicken, one Pint of Coleslaw, one Pint of Barbecue Beans and four pieces of Cornbread ($19.99). What about barbecue loving baseball fans? Wednesday, August 6, and Sunday, August 17, Sweet Baby Ray's is hosting free autograph sessions, and chance to meet the Schaumburg Flyers minor league baseball team at 6 p.m.
For more details about Sweet Baby Ray's Barbecue Restaurant and what's going on this month, visit online at http://www.sbrbbq.com/ or call (847) 437-9555.